Nicholas regularly appears before sports regulation / disciplinary hearings and provides advice on rules, compliance and the consequences of infringements. Nicholas has a significant background in malfeasance, bribery and fraud and is well placed to deal with these matters arising from corruption and criminality in sport. He has a particular specialisation in anti-doping law both Defending and Prosecuting. Representing a young boxer who had taken a sports supplement. The supplement contained a substance banned during competition and the existence of the substance within the supplement was not known to the athlete. The athlete in his first instance tribunal was found to have had “no significant fault” when he ingested the substance. The athlete had further argued that he did not intend to “enhance his sports performance” with the supplement. This argument failed before the Tribunal and was the subject of significant legal debate (Foggo / Oliveria cases) internationally. The athlete's original ban was reduced by 50% by the original panel however UKAD did not appeal this on the basis that they believed that the Oliveria approach should have been followed rather than Foggo in reaching a decision. This placed the Athlete in jeopardy of having his period of disqualification increased in the de novo hearing if the panel continued to follow the Foggo approach but rejected his mitigation. The NADP chaired by Mr Peter Leaver QC disagreed with the suggestion that the Oliveria approach should have been followed and indicated that they did not agree with the reduction in the period of disqualification originally imposed by the First Instance Tribunal. However the Appeal Panel was persuaded not to alter the original sanction reduction afforded to the athlete. Has a general criminal and regulatory practice, with an emphasis on the Western Circuit and London. He has a track record of acting in cases involving fraud, organised crime, serious sexual offences and murder. His expertise also includes regulatory law with particular experience handling environmental law and health and safety matters. "A very client-friendly and expert criminal counsel." Recent work: Defended one of the defendants charged with the aggravated burglary of a Hatton Garden jeweller. Strengths: "He has a terrific brain, a formidable work ethic, an unflappable demeanour and his tactical awareness can make the difference in a tricky case." “Now this case is over, may I express my significant grateful thanks for the way you have consistently and over a lengthy period handled the complex case of R v O. This case was never destined to be easy, and indeed it proved to be one of the most difficult cases I have dealt with in the last 30 years. I am in awe of the skill, professionalism, compassion and knowledge that you put into this case, coupled with your ability to look after, control and satisfy a very difficult Client. Your willingness to see our Client without Solicitor and to promptly report back to myself was an outstanding pathway to enabling us to deal efficiently with a client of the most demanding nature, who barely spent a day off the telephone whilst in prison. Notwithstanding the sentence passed, I think it is fair to say that without your extremely high level of expertise, the result could have been tremendously less beneficial to the Client. I think it would be correct in this case to concentrate on the level of acquittals obtained for O, which speak volumes for your ability and dedication." 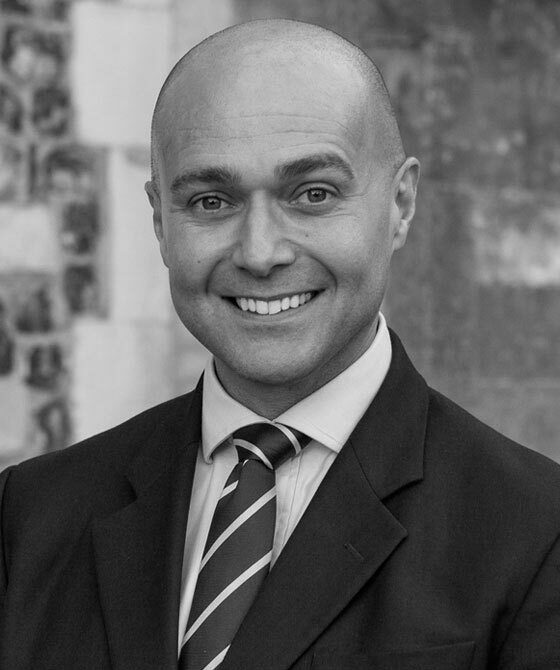 Nicholas Cotter is qualified to accept instructions directly from members of the public and professional clients under the Direct Public Access scheme.